From late 1982: The sun will come out tomorrow... the two-part Marvel adaptation of the ANNIE musical movie, another long-forgotten outing from the celluloid-obsessed publisher prone to adapting any film which looked like it might be a hit. And another musical... despite the obvious problems with trying to translate music onto the printed page. 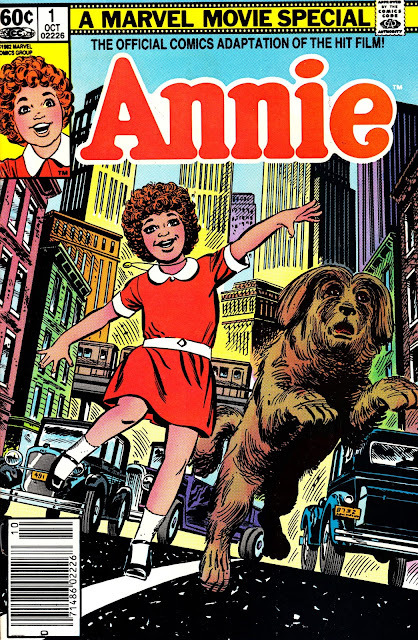 Annie, of course, started life as a comic strip... so you can almost see the logic. And maybe Marvel hoped that it would breakout beyond their core readership of teenage boys. I doubt this run - and the Superspecial magazine which published the same material - registered very highly on the Marvel sales charts. Which probably makes them some of the rarer Marvel Comics of the period. I picked them up from a 50p box. 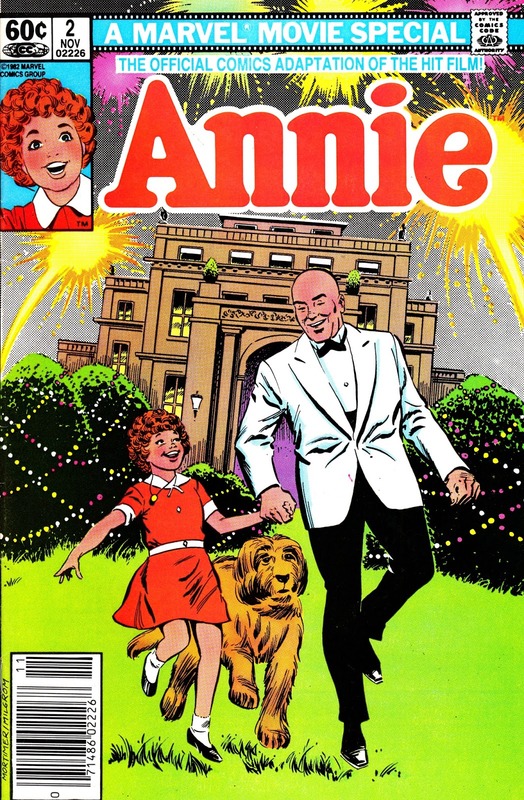 Albert Finney would have been a shoo-in for Lex Luthor at the time. One of marvel's more bizarre offerings along with XANADU, the musical misfire. Or Sgt. Pepper. An adaptation Marvel didn't even bother to publish in English. The film is an oddity with Frankie Howerd as the villain. XANADU has a cracking soundtrack. Just a shame about the film itself. But nothing tops THE APPLE. I would pay good money to see that on stage. Agreed about the XANADU music, I have it on cd but the movie wasn't a critical or commercial hit at the time.